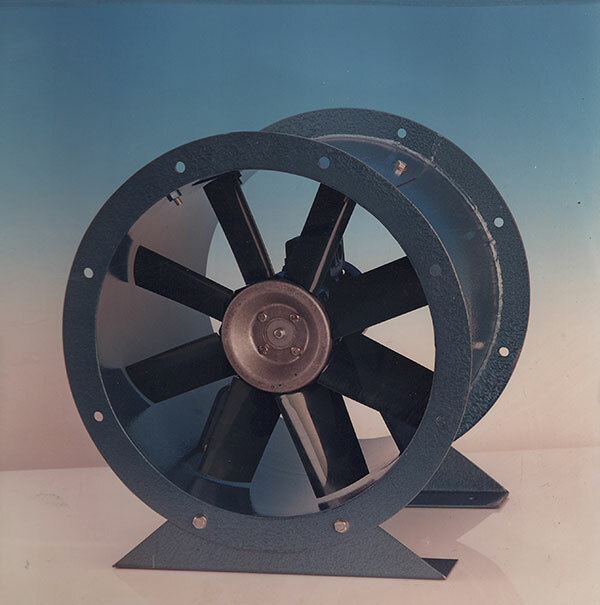 As their suggests this range of fans is used on flat or sloping roofs and is suitable for exhausting warm and contaminated air up to a maximum ambient temperatures of 60°C using an Axial or Propeller type fan upto 600°C using Axials or Bifurcated fans. Both LOW PROFILE and VERTICAL JET models can be fitted with single or three phase motor in TEFC or EXD Zone 1 or 2 enclosures. Moulded Fibreglass Cowels or Fabricated Mild Steel Cowls with epoxy polyester resin coating after manufacture, standard colour beige RAL 1013. The Vertical Jet unit is fitted with backdraught shutters as standard. The Low Profile unit can be fitted with backdraught shutters if required. The standard units are fitted with epoxy polyester coated Plate Mounted or Short Cased Axial Fans. They can be fitted with Long Casings if required for duct mounting. All Victoria Fan Roof Units can be fabricated in Stainless Steel or Aluminium if required. Silencers may also be fitted to any of the fans used in Victoria Roof Units. By removing the backdraught shutters Victoria Low Profile Units can be used to Input to give general ventilation. Victoria Roof Units can be fabricated to suit non standard roof openings if required.